It’s practically impossible to wrap a bottle of whisky without giving away the surprise, but these crafty wrapping techniques will at least guarantee your gift will impress. 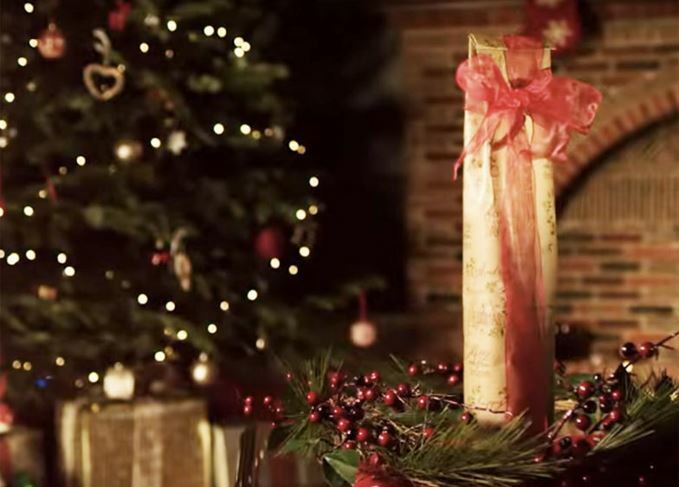 Nods of approval are guaranteed if you wrap a bottle of whisky with a little pizazz. The joy of tearing open a gift at Christmas is that you have no idea what lies inside, which is why a bottle, with its giveaway height and curves, is quite possibly the most annoying present to wrap. Put it in a gift bag. Simple. Easy. Job done. Wrap it tightly, twisting the paper around the top of the bottle, covering it in sticky tape. Easy, but a giveaway to what’s inside. Just hand it to them. They’re only after the liquid inside anyway. However, if the bottle you’re gifting is extra special, or if you’ve spent a fair whack on it, you’ll want to make more of an effort to present it beautifully. If you have the time and a flair for craft, then ramp up the volume on Wizard and Slade, arm yourself with paper, bows, scissors, ribbons and tape, and have a go at one of the below. If you’re not keen on gifting a bottle of whisky this year, consider one of these alternative gifts for Scotch whisky enthusiasts. A smart, simple and hassle-free way to jazz up your whisky gift. The hardest part is choosing a paper-ribbon combo that doesn't clash. This may be a style more suited to a bottle of Champagne due to its garish flamboyance, but recipients will no doubt applaud you for effort in presentation. Just be careful not to stick the paper to the bottle label, especially if it's a luxury whisky. Graceful, pretty and a break from the usual mess of a paper-wrapped bottle. The difficulty here will be retaining modesty amid all the praise for your wrapping skills. Because every whisky enthusiast needs a tea towel in their life. Who doesn't? And as this video shows, the tea towel method is perfect for wrapping both lemonade and olive oil too. Winner. This is how pirates used to wrap bottles of liquor to prevent breakages, which is precisely the reason you'd choose to garnish your whisky in string before gifting it to a loved one. After all, you'd hate for the bottle to break en-route. Note: If breakage is your major concern, consider bubble wrap. It's far easier to use and much more fun. Certainly one way to smarten up a bottle of whisky. Try experimenting with different shirt/tie combos to avoid dressing your bottle like an effigy of David Cameron.